18-12-2013 - Twin Motorcycles and Galfer Industries announce their exclusive worldwide cooperation. Tradition, experience and knowledge of the markets we serve, and a continuous investment on infrastructure for the latest technologies make our company the choice of many OEM Automotive, Motorcycle, ATV, Snowmobile, Kart and Bicycle manufacturers. 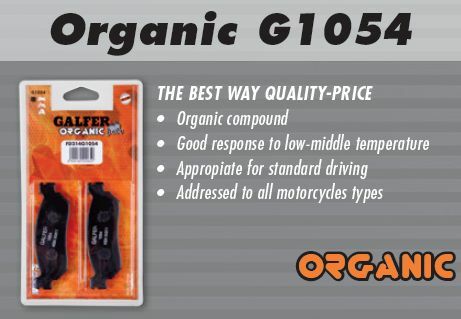 To guarantee excellent results and the most advanced cutting edge technology, Galfer employs one of the most innovative Research and Development teams, allowing us not only to be a market leader on innovative compounds but also to allow all our Automotive supplied costumers to pass that technology to their products and make those top edge technology. Thanks to our large efforts on R&D Galfer currently produces and sales products that not only meet but also exceed the industry standards such as ECE-R-90. Galfer's Research and Development team not only supports its work on our laboratories, we also test all our products at racing levels. Galfer is well represented by many top World class race teams that share their findings on our new products and help us make them better. 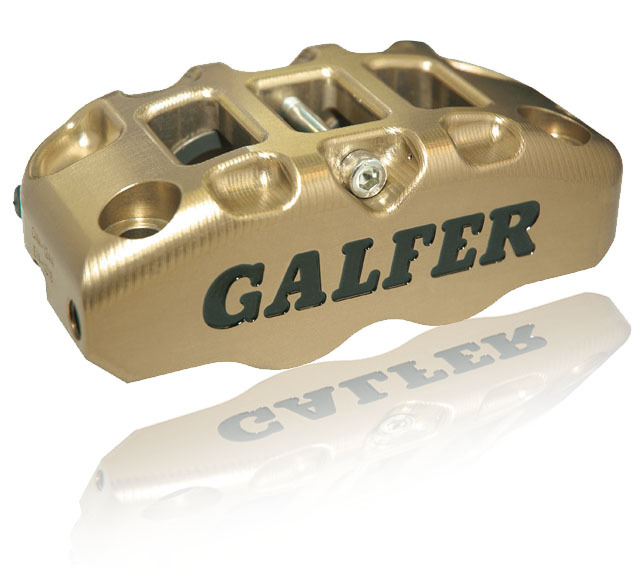 The experience and knowledge received from the racing field has made our brand a well know name in the international Automotive as well as motorcycle racing scene, making Galfer a household name in the podium. We are convinced that our efforts on Research and Development have paid off well on our most recent product lines offered. These product lines are constant market leaders on their own segments, having shown excellent results with the end users. Our standard product line has also increased market share popularity due in part by the complete Galfer product line advancement on new compounds technology and performance. Twin Motorcycles began their passion in 2003 when the Buell XB was introduced and we began drag racing. Our passion to run our shop comes from the tuning of our Buell's, along with the years of experience and knowledge in the maintenance of our Buell and Sportster drag race engines. 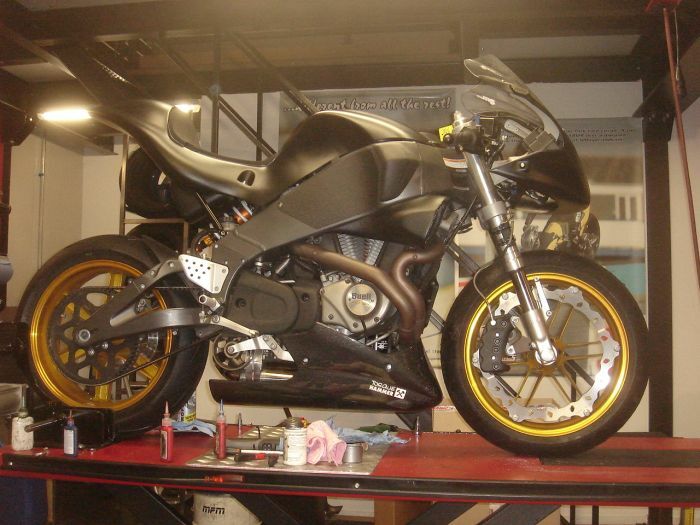 We did all kinds of maintenance on the Buell's from our friends and acquaintances. So we were often busy until late in the evening and the weekends. We then decided to make this our full time work. We began in 2004 in our shed in Lopik and in August 2007 we moved to the industrial area in IJsselstein where we are still situated. We are worldwide famous for our Buell and XR1200 exhaust development called the Torque Hammer and our ECM tuning on the Buell and XR1200 fuel systems. You cannot compare it with any other system in the market, because we make it with Love. In October 2009 Harley Davidson stopped the production of Buell Motorcycles. We then decided to support the XR1200 and Sportster motorcycles engine, (what is almost a 100% copy of the Buell XB engine). It has the most potential to become the alternative for current Buell riders and new customers who want to ride an air cooled V-Twin. We have, at this moment, the biggest selection of Buell and XR1200 Parts available in our webshop. We sell through a big worldwide dealer network our parts worldwide. Why we signed this agreement. Galfer and Twin Motorcycles have recently signed a worldwide exclusive partnership agreement to offer and develop worldwide the best solutions for brake systems and give future warranty and the best safety and comfort when riding an exclusive brand as BUELL deserves. The reason for doing this is because Twin Motorcycles is driven to keep Buell on the road and have a complete line ready when HD is not supporting Buell anymore. We are also very happy that we have TUV and E-mark on the complete product-line. · Smaller dilatation coefficient than the originals. 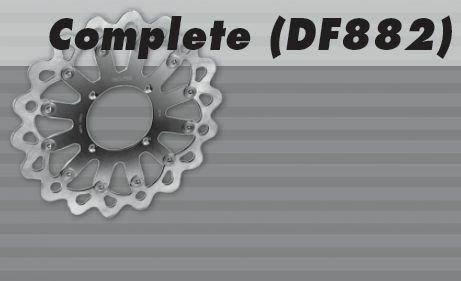 · Direct improving feeling: rigid, constant and more accurate. · Increase the performance and the speed response. · More resistant than the originals. · Easy and fast replacement in wet conditions. 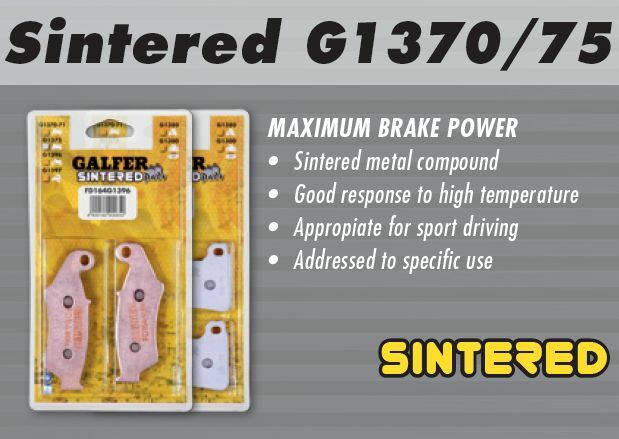 · Direct connection from the brake pump to the caliper. · Don’t oxidize and resist the most high temperatures. · Choose from 7 tube colors: transparent, black, blue, red, carbon, yellow and green. · 3 Connector types: anodized ergal aluminum red & blue, nickel brass silver and nickel brass gold. 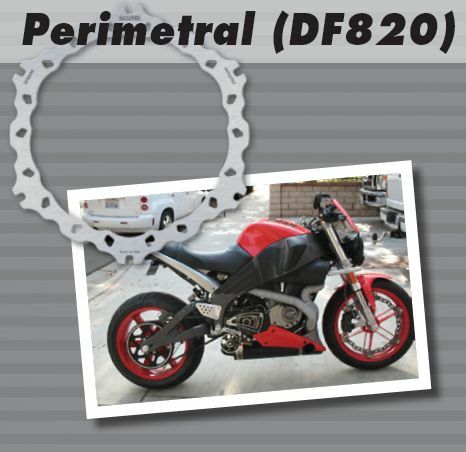 · Cheap and complete kits for each motorcycle model. 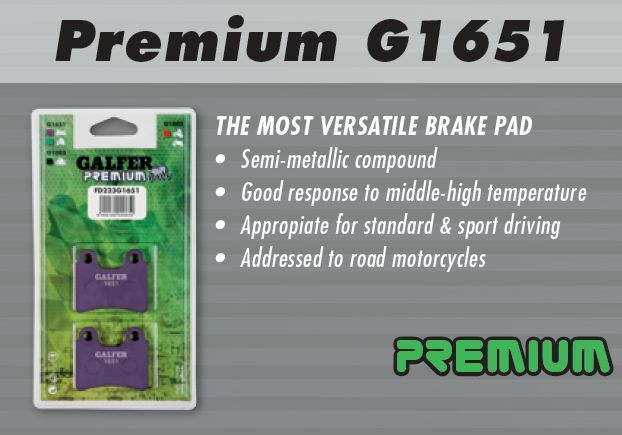 Galfer uses only 420 or 410 stainless steel for all of our brake rotors and it’s all about the memory! What do we mean by that? Metals have memory which means that when you heat up a piece of metal and it expands, good memory characteristics allow it to go back to its original shape without much deformation from the original shape. It’s as simple as this: It goes back to it’s original shape and specs faster. Stamping is great when you are doing mass production of tens of thousands of rotors. This is because the stamp itself is VERY expensive to make, but after the initial expense, it can quickly produce rotors that are relatively good quality. On the other hand, laser cutting requires minimal initial expense other than a few hours programming time to make sure the laser follows the desired pattern. This allows you to easily and cheaply change the design after testing if the need arises. Because the programming time is all that is required for a completely new prototype, Galfer has the ability to do small batches of custom rotors to meet the needs of our clients. 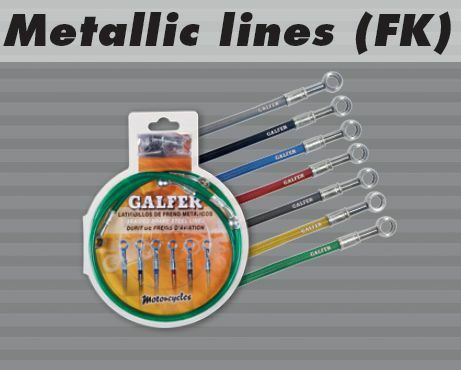 Galfer can do an infinite number of combinations of diameter, bolt fixing pattern and Wave® pattern. 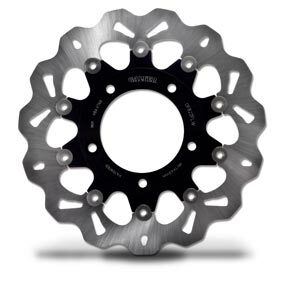 We can even cut your company logo or name into a rotor design. Laser cutting provides the most consistent cut quality and leaves the rotor substantially flatter than stamping. Admit it! You’re interested in Galfer Wave®s because they look cool! We like the way they look as well but believe it or not, there is quite a bit of thought that went into our patented technology. On a normal round rotor, the leading edge (think toe-in) of the brake pad is in contact with the entire height of the blade as the pressure is applied. Because the contact covers the entire height of the blade, heat buildup takes much less time to occur and you end up with heat related problems like brake fade, thermal lockup and inconsistent braking performance. What the Wave® pattern does, is take that leading edge of contact between the blade and pad and constantly move it up and down, thus minimizing heat build up and its inherent problems. Cool air is also introduced in greater amounts. In addition, through centrifugal force, any foreign matter is thrown clear of the outer rim of the blade and doesn't get lodged in the pad material. Well, it depends what you mean by “help”. Holes in the “blade” of a disc (the part that the brake pad sweeps over as it is in motion) will save a bit of weight but contrary to public opinion, they do not help to cool a braking system. Notice on MotoGP motorcycles and most race cars, there are no holes on the rotors. There are actually situations where holes can be detrimental to your braking. In muddy conditions, dirt gets trapped in these holes and proceeds to chew up pads that, in turn will chew up rotors because of the constant uneven abrasion between the pads (which have the dirt imbedded in their surface) and the rotors, which get gouged to heck by that dirt. If you’ll notice, if there are holes in a Galfer rotor, they are never round. They are usually oval, teardrop or cylindrical in shape so that foreign debris is directed away from the rotor via centrifugal force. · Cools off as it turns / rotates. · Less tendency to warp. · Self-cleaning action, removing mud or water from surface as it runs. · Makes any motorcycle look very cool. In development Calipers for all models. The Calipers combines the virtues of the radial anchorage with the rigidity of the concept mono block. This caliper combines the concepts of radial anchorage and mono block construction in one piece, in order to achieve maximum rigidity and resistance to strains with a minimum weight, getting a more sensitive and accurate brake touch.Made of duraluminium 7079 CNC, it has four pistons and the distance between centers of bolts is 108 mm. Is finished in hard anodized with a transversal design that increases even more it's rigidity. At the moment we are also testing with different riders around the world and we can only say, that the first impression on circuit and road is really promising. We first develop the complete line of products further and then start to make replacement calipers for all models. When our Buell line is complete, we will also start making parts for the XR1200 and Sportsters. Later more news about this.